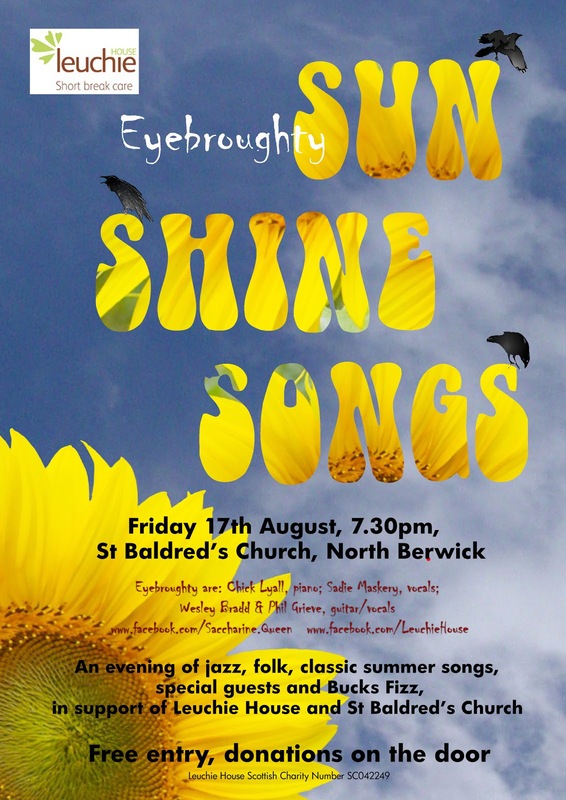 On Friday 17th August, one of the members of RSCM Scottish Voices will be taking part in a free concert entitled Sun Shine Songs in St Baldred’s Church in North Berwick, with donations taken on the door for Leuchie House and St Baldred’s Church. It’s a concert featuring Chick Lyall, Phil Grieve, Wesley Bradd and Sadie Maskery who together make up the group Eyebroughty, and it’s going to be a mixture of jazz, folk and classic summer songs with special guests and buck’s fizz (the drink, not the group!). Not only will it be marvellous, it’s for a good cause, so why not take a chance and go along if you’re in the area.